Up your home dining experience with the Soniya six-seater dining table. 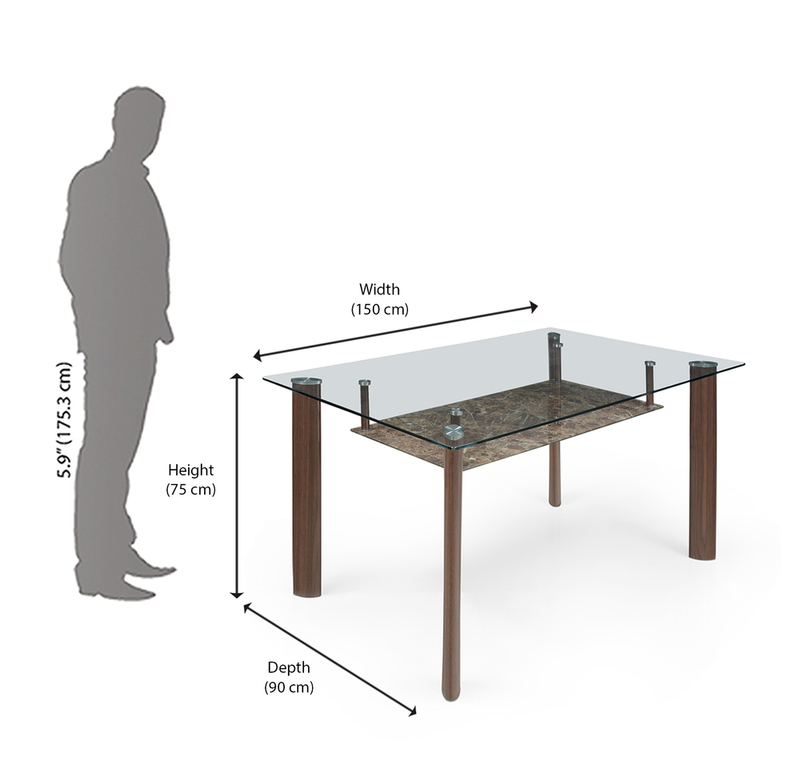 Crafted with metal and glass, the dining table dons stylized elements such as a small shelf below the top glass, which can be used to display small trinkets or flowers, too. The six-seater dining table can be complemented with equally stylish chair or balanced with minimal wooden chairs. It easily blends in with different kinds of furniture pieces and décor. Bring it home and style it the way you want.